Meet the super-energy efficient, futuristic cars of tomorrow. Shell recently posted a challenge to students: create the most energy efficient car. And they did not disappoint. 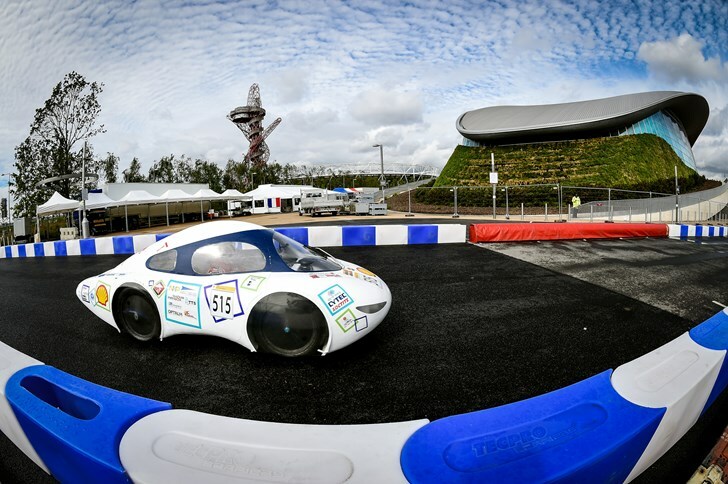 Students flocked to London for the European leg of the Shell Eco-marathon. More than 200 teams from 29 countries designed cars with one goal in mind—creating a car that can travel the farthest on a single liter of gas. 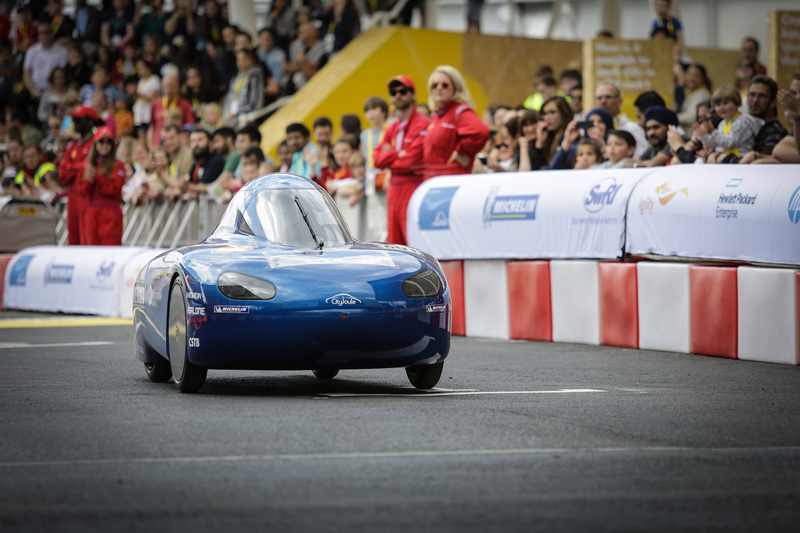 Two colleges based in Toulouse, France have built TIM 07, a car with composite panels made from biodegradable silk and natural resin, as well as more typical carbon fibre reinforced plastic. The team used CAD design, CNC machines, and 40 separate blocks of polystyrene to make the shape of the car. The challenge encouraged low-cost solutions, since participants were to find their own sponsors. Students from the Institut Teknologi Sepuluh Nopember in Indonesia used corrugated PVC roofing sheets and gaffer tape to create Sapu Angin 10. Of particular note is Venture 8, made by a team from Nanyang Technological University in Singapore. This car made fullest use of 3D printing technology with bodywork, interior and many functional parts assembled from over 150 separate 3D-printed sections. Its carbon fiber chassis is separate from the body, and can be driven without it. This follows their vision of making fully customizable vehicles that could be placed onto the chassis as desired.